SECRETFORTS: Into Right Now: SeaVees canvas chukka. Via ACL. Click over and check out the rest of what Michael is liking from Vegas. I saw these at ACL and thought they were way cool as well. 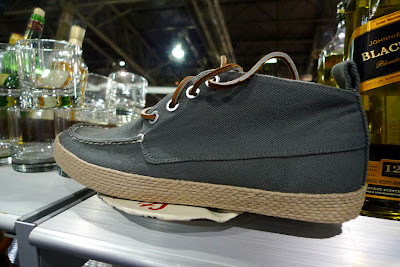 Canvas, chukka, moc toe, espadrille sole, leather laces...seems to have it everything going for it. I'd love to see more pics/angles.